Devonport is handy to Central Auckland and you can drive or catch the ferry from down town Auckland and cross the magnificent Waitemata Harbour to Devonport. This is a very popular course and bookings are essential. Originally the home of the Takapuna Jockey Club, the contours of the infamous "Back Straight" are still discernable when playing the par5 13th. Nestled between Mt. Victoria and Narrow Neck Beach, the course is one of Devonport's iconic tourist attractions. The 18 hole course contour is flat, allowing easy walking through beautiful park like surroundings with well established trees, shrubs and water features. Tight fairways and well guarded greens make Waitemata an accessible yet challenging test of golf for all skill levels. Our recently renovated clubrooms offer the ideal "19th" of your round. Our relaxing lounge bar and comfortable dining area are complimented by spacious outdoor decking providing panoramic views of the course. The Waitemata Cafe and Bar menu is extensive and very reasonably priced.  Brad Shilton is the Head Professional and Coach at Waitemata Golf Club. After an extensive and successful playing career, Brad has made the switch to the coaching side of golf and specializes in playing lessons. Through proven methods tuition it's a great way to fast track your improvement and gain more enjoyment out of the game. The Proshop is owned by The Clubroom - The one stop golf shop that serves all your golfing needs. The Clubroom premium golf products, expert golfing advice, custom-fitting services, and professional training.